(UM Eeeww. I joke, but no seriously, it's an important topic). 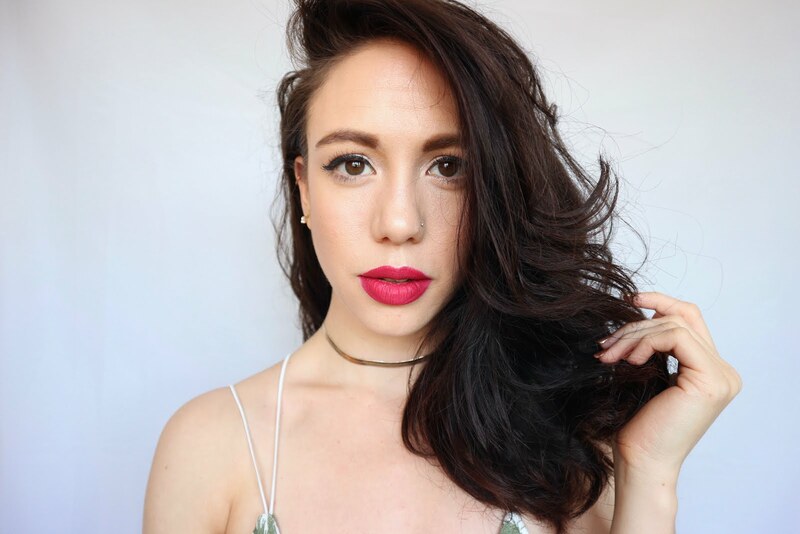 For the past few years I have been tracking down and testing out some more natural alternatives to the standard tampons and pads you get in your local Boots. There have been some serious hits and misses (and embarrassments) along the way! So when I do find a new brand to test out, I'm all for it. A few moons ago the lovely company JO SAYS contacted me and introduced their line of natural and organic tampons. Impressed by their standards I was more than happy to give these a whirl! 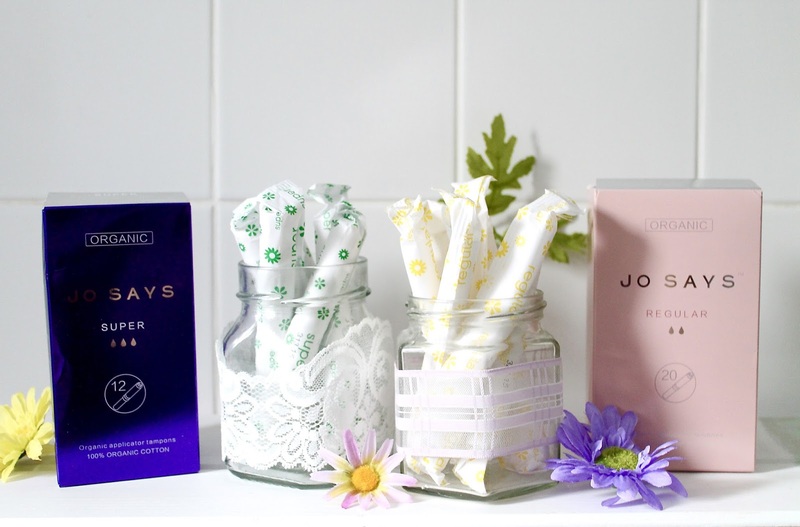 So, for the past few months I have been testing out both the JO SAYS Super and Regular Organic Tampons*. Firstly, I was delighted to discover they were applicator tampons. I don't think I really need to explain that further do I? I mean I'm totally open and don't care about TMI but you guys might so...moving on. As mentioned these tampons are made using organic cotton, and boast a number of different certifications, including FDA, OCS (which means it's also approved by ECOCERT), GOTS and more. To have a product with this many certifications and such major ones as well really makes them a standout in the field of organic famine hygiene products. As for performance, like everything this will completely depend on each and every persons body, but for me these to be very comfortable, easy to use and work exactly as traditional tampons would and I've experienced zero leaking. In fact I think they are a little more absorbent as when they (both super and regular) are 'full' they don't tend to start saturating the string, which is something I've unpleasantly had to deal with before with other brands. There are several styles of expansions with tampons and these expand outwards into two side 'wings' like a figure of 8 that are concertinaed into an 's' shape when dry. Usually I do opt for tampons that expand in more of a flower 360 way, but these have proved to be just as effective. The applicator tube is made from cardboard and has the usual smooth coating so it's much better than having a non-biodegradable plastic one and just as comfortable. On another note, it is great to see a brand with lovely packing, I know really it's not that important but it is refreshing to have a brand that isn't emblazoned with the typical green and yellow floral designs (i'm not throwing shade at other brands here). These look stylish and a bit more appealing somehow. JO SAYS is a company based in both Paris and Shanghai and currently these are available to buy online. They even do a monthly subscription so you can get your tampons sent through just when you need them, which is pretty cool! Seeing as they are organic, they are pretty pricey, when I converted the cost of one box of 20 regular tampons from ¥90 it works out to be about £10. Which yes is super expensive but sanitary care is expensive anyway and these are organic which bumps the price up more. Ultimately, it's all down to how much you think your health is worth.